Donovan, a flavoring expert, left the corporate food and beverage industry three years ago to dive headfirst into starting her small gourmet popcorn business. 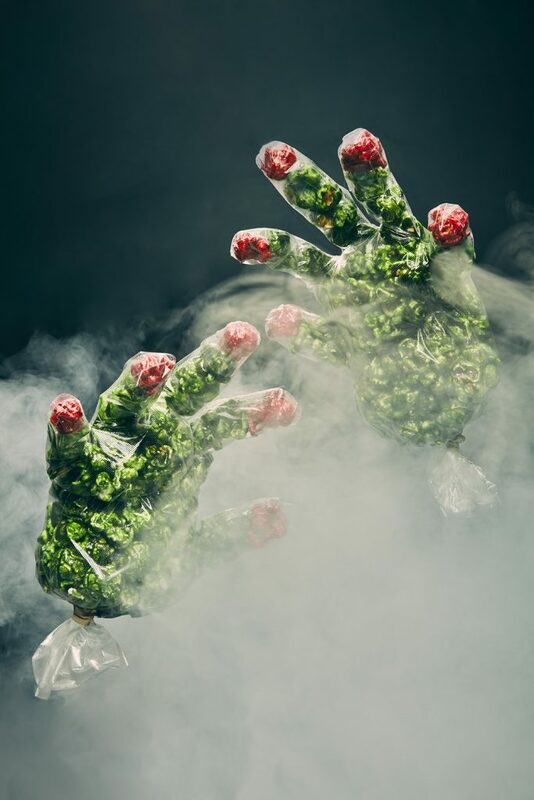 The thick candy coating on these special-order witchy treats comes in green “fleshy” pieces that are neutral (sweet, but no flavorings added) and red cherry-flavored “fingernails.” The latter has an unmistakable hit of cherry lollipop. Donovan toys with other wild varieties to get you into the autumnal spirit, including caramel apple, cinnamon, or—if savory is more your bag—cheddar pretzel ale. Now excuse us while we book our post-chow dental checkup.